Seaheart padded past her clanmates and into the nursery, squeezing inside carefully. Once inside, she dipped her head to the other queen and settled down into an empty nest. Silentkestrel pulled a thrush from the fresh-kill pile and carried it over to Dreamfeather to share. Swiftleaf padded into the TigerClan camp, carrying horsetail in her jaws. She made her way into the den she shared with Poppypaw, placing the horsetail into the storage. "I, Featherstar, Leader of TigerClan, call upon my warrior ancestors to look down on this apprentice. She has trained hard to understand the ways of your noble code, and I commend her to you as a warrior in her turn. Sootpaw, do you promise to uphold the warrior code and protect and defend this Clan, even at the cost of your life?" "Then by StarClan, I give you your warrior name. Sootpaw, you will be known as Sootpelt. StarClan honors you and we welcome you as a full warrior of TigerClan." Leaping down from the rock, Featherstar padded forward and rested his muzzle on top of Sootpelt's head. Sootpelt licked Featherstar's shoulder, then sat back and listened to the clan call out her new name. "Sootpelt, Sootpelt, Sootpelt!" cheered Swiftleaf for the clan's newest warrior. Sootpelt pulled a hare from the fresh-kill pile and carried it over to Violetblaze to share. Stormstep padded into the TigerClan camp, carrying a thrush in his jaws. He made his way into the elder's den, dropping the thrush at the elder's paws with a dip of his head. Seaheart purred and licked at the five tiny kits at her side as they mewled and squealed for milk. As she touched her nose to each kit, she sent a silent thanks to StarClan for a healthy litter. Sloeshrew padded into the TigerClan camp, carrying a rabbit in her jaws. She made her way into the elder's den, dropping the rabbit at the elder's paws with a dip of her head. "Let all cats old enough to catch their own prey gather for a clan meeting!" yowled Swiftleaf from the rock near Featherstar's den. Sootpelt pricked up her ears and padded over to hear what Swiftleaf had to say. "I, Swiftleaf, medicine cat of TigerClan, call upon my warrior ancestors to look down upon this apprentice. She has trained hard to understand the way of a medicine cat, and with your help, she will serve her Clan for many moons. Poppypaw, do you promise to uphold the ways of a medicine cat, to stand apart from rivalry between Clan and Clan, and to protect all cats equally, even at the cost of your life?" "Then by StarClan, I give you your full medicine cat name. Poppypaw, you will be known as Poppywing. 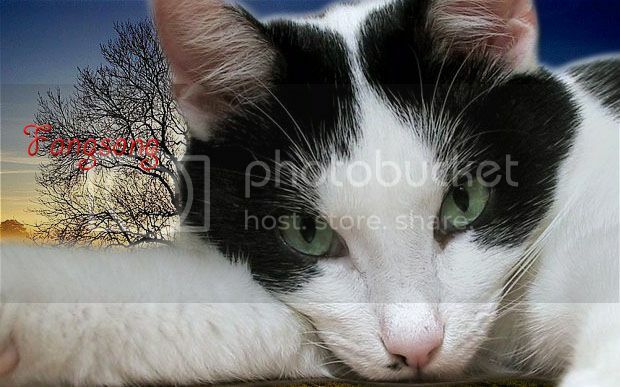 StarClan honors you and we welcome you as a full medicine cat of TigerClan." Leaping down from the rock, Swiftleaf padded forward and rested her muzzle on top of Poppywing's head. Poppywing licked Swiftleaf's shoulder, then sat back and listened to the clan call out her new name. "Poppywing, Poppywing, Poppywing!" cheered Molepelt for the clan's new medicine cat. Swiftleaf padded into the TigerClan camp, carrying water mint in her jaws. She made her way into the den she shared with Poppywing, placing the water mint into the storage. 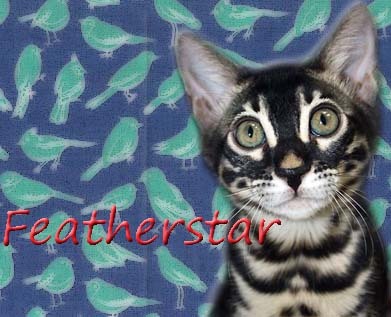 "I, Featherstar, Leader of TigerClan, call upon my warrior ancestors to look down on these apprentices. They have trained hard to understand the ways of your noble code, and I commend them to you as warriors in their turn. Ivypaw, Foxpaw, do you promise to uphold the warrior code and protect and defend this Clan, even at the cost of your life?"